The Insurance Risk Management Underwriters are smart people, they know if a builder is blowing smoke when trying to make jobs safer with just a few cameras, taller fences and a few security guards. In all North American cities, wood framed buildings of all sizes are burning down by arson strikes, lightning or natural disaster. 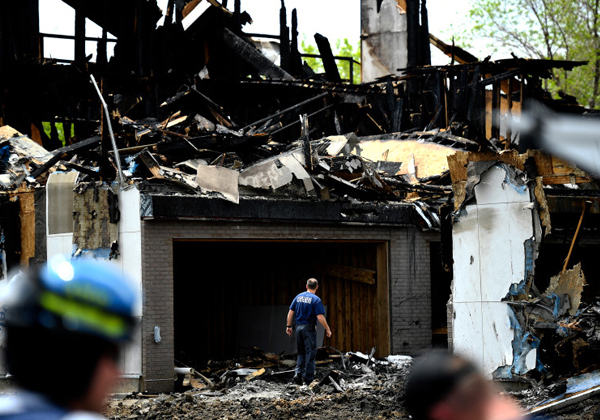 An epidemic of job site fires has been affecting scores of townhouses and apartments with well over 20 in just the last 18 months. The big question is who and where is next when it comes to an underwriter. This year alone, construction fires have resulted in more than hundreds of millions in insurance claims and these underwriters are looking for more tech protection and if you are including get ready for higher and higher premiums. The National Fire Protection Association reports that fire departments respond to some thousands fires for structures under construction each year. Although you may find your project insurable, these events are causing hundreds of millions of dollars in property loss, lengthy investigations and costly revenue setbacks and rebuilds. Further more the new sleeping giant in the building industry is no longer mold when it comes to legal issues for contractors and large builders that ignore the fact that there is a new Best Practice to defend wood stick framing and CLT. Also, if any workers get hurt due to a fire, be ready for the big hammer to drop on a negligence claim. To help reduce the likelihood of fire events, contractors can follow a number of best practices to safeguard construction sites against arson and catastrophic exposures. Anyone that has anything to do with framing with wood needs to recommend to the owners that the lumber has to get fire protected as the building frames vertically. M-Fire now has the solution that causes no delays on the job sites and it's so cost effective the risk is no longer worth taking. At the same time, find a good Insurance Broker like Lockton and let them shop for you to find a premium reduction. What a good Broker can do is similar to when a framer or builder walks into the building department to try and make a change on the plans for easier construction. The Plan Checker rarely approves it because they think you are trying to use it as a short cut to put the savings in your right front pocket. Just like trying to represent yourself you need a 3rd party in insurance and a plan check to get real positive results. I have been in construction since 1972, and it's a whole new world out there. For those that want to do business like we used to before all the arson attacks, be ready to pay more and worry a lot.